A shoe to contend with. 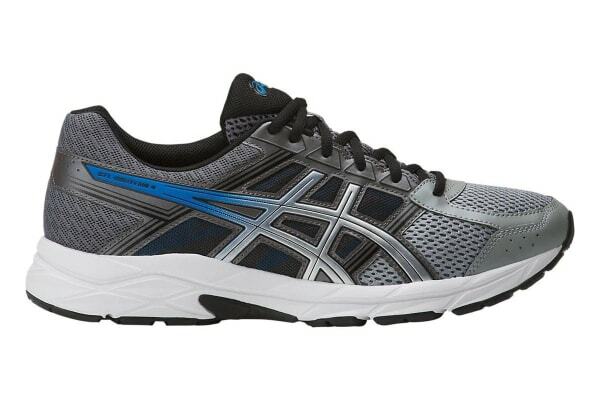 The ASICS Men’s Gel-Contend 4 Running Shoe hugs your feet and absorbs impact to create a stable, comfortable base for you to run faster, run longer and run better. A runner to contend with, the innovative ASICS Men’s Gel-Contoured 4 Running Shoes are perfect for everyday wear or your next half-marathon. With mid-cage support and an Ortholite sockliner that contours to the shape of your foot for a snug feel and rearfoot gel cushioning that minimises shock and impact on your joints, you’ll feel like you’re barely touching the ground with these ridiculously lightweight and responsive runners.